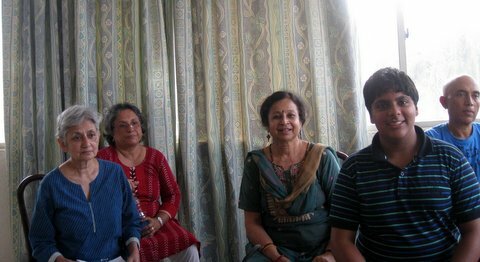 A homemaker, an education consultant, a software engineer and an art gallery owner are linked together by a common passion — Hindustani classical music. 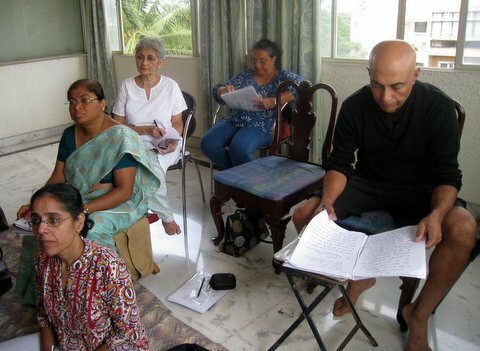 This diverse group of singers — Sunaad — have come together to learn and teach classical music. “It is a community of people who share a love for music. All it takes is a few trained singers who are willing to teach people interested in music,” says Tara Kini, co-founder of Sunaad. Sunaad aims to bridge the gap between the formally trained and the untrained. “We want to demystify Indian classical music by intertwining theatre and storytelling in our singing,” says Ms. Kini. Started in 2002 by Tara Kini and Aditi Upadhya, ‘Sunaad’ has seen tremendous success in the last few years. 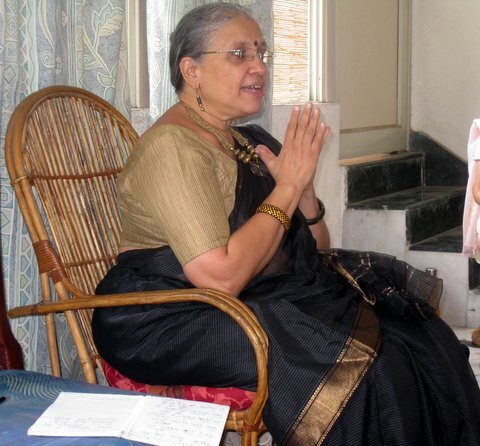 “As a teacher in Mallya Aditi International School, I would organise musical programmes with my students. In 2002, I decided to do something different. We brought together a group of people, including students, alumni, parents and teachers for a programme, Bhavayatra , which was about the different facets of Krishna. The group, which was not disbanded after the programme, was christened Sunaad,” says Ms. Kini with a tinge of pride in her voice. 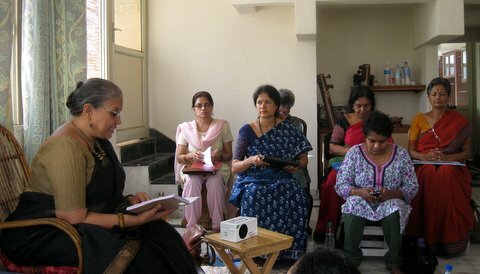 Ms. Kini has been leading the group, after Ms. Upadhya left the group in 2005 to pursue a professional singing career. 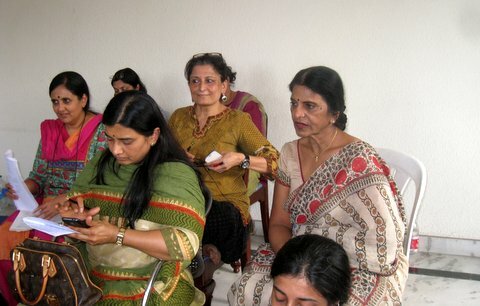 Art gallery owner Indira Bharadwaj is among the parents associated with the group. “Music is something I always wanted to learn, but I never had the confidence to ask someone to teach me since I was well into middle age. 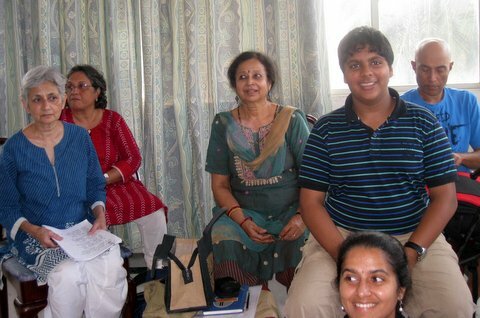 Sunaad welcomed me with open arms and since then my musical journey has been nothing short of magical,” says Ms. Bharadwaj. 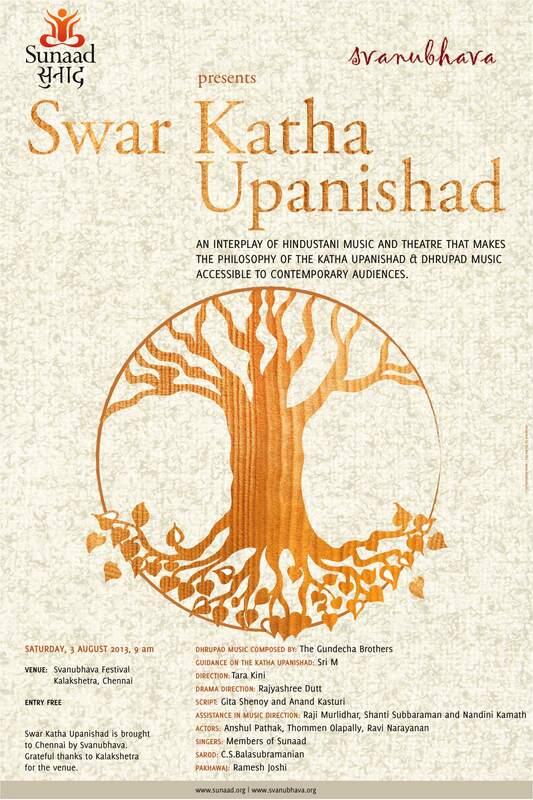 One of the biggest successes Sunaad has had is the performance of Swar Katha Upanishad for which the music was composed by the renowned Gundecha Bandhu of Bhopal. Last year, they staged at least 15 performances across the country. And the concert at Manjakkudi in Tamil Nadu is one that all the members cherish. “The audience comprised a good number of farmers. The awe with which they listened to the performance was deeply touching. Also, the interaction with the children later was an inspiring experience,” says Ms. Kini with a wide smile. Their upcoming projects include Rumi’s Maznivi in which they will combine Hindustani classical music with Sufi music for the first time. A workshop and performance of our Swar Katha Upanishad show was held at the Swami Dayananda Saraswati College of Arts and Sciences in Manjakkudi, close to Kumbakonam, on June 30th and July 1st ‘2012, & the students were very fascinated at the whole concept of the Upanishads and even that of Hindustani Classical Music. Being rural children, who are normally not exposed to much Indian culture, we were very proud and utterly delighted at the feedback they gave us:. A few conceptions about this programme after you have attended. 1. Yes. It gave me a new experience. 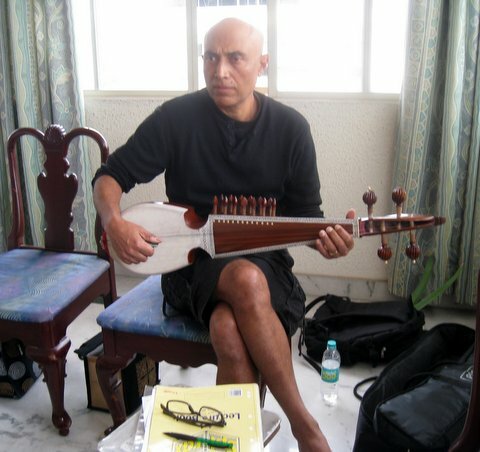 Sunaad’s music was new, pleasing which I liked. I experienced a fearful and new sensation. The fear left me, its place taken by a new feeling that I should be bold, act in new direction; I was pleased wih this new feeling. 2. This event gave me new ideas. What I plan, I can do. There was a change of mind in me and the negative feeling left me. 3. I wanted to know about Atma; this event informed me about the Atma-principle. A superior mind assures liberation (mukti). I thought mind is one. I learned that it is two: sudashva & dushtashva. I desired to attend the Sunaad event. It was very productive. It gave me new ideas; it was useful. 5. Through song, ideas and story I learnt what I did not know. I learned new ideas. 6. I wanted to hear Hindustani classical music. Through this, I wanted to understand my capacity. Earlier, I had a deep desire to know what I shall be after death. After the event, the confusion left me. It enabled me to know the truth..
7. I had never seen an event like this. This Sunday I witnessed a great performance. Thanks to all I want to learn more from you. I witnessed a memorable unforgettable performance. Thanks, Thanks, Thanks. 9. It was pleasingly different. Had new experience. I enjoyed better a play which I had seen on TV. Thanks for the performance.. It was quite different. Yama could have been adorned (conventionally). 10.An excellent story explained very well and clearly. Thanks. You all sang vey well. Narration was excellent. Thanks for explaining the meaning. I was eager to see and was pleased with the play. I learned that things can happen differently from expectation. 11. Greatly pleased; learned new. Mind was energized. I enjoyed the music and Taal. 12. Learned what happens after death, and new ideas about life. Request a similar performance again for our students. I took part yesterday; the expectation was fulfilled. The play followed the story told yesterday. 13. How we should control our senses – this was a new lesson. I shall lead a good life controlling accordingly. Thanks for coming here and teaching us. We can’t get everything we desire. The play was excellent. I thought it would be the usual song & dance play. I was glad that the music, dance and show was excellent, unlike what we see in a picture. 14. “This program is very useful for us because we don’t know the Kathopanishad. Now, we learned it.” Linking the two types of mind with the horses was great. May we develop good mind and reach the goal. 16. Different from expectation; I liked the scenes; happened as I imagined. P Maria Stella Margaret. Very satisfying; we should conduct ourselves in a correct way. 18. I liked the “Song and dramatic portion”. I liked the “dance and your speech”. “I feel so good:. Very interest for this song and feel so happy; feel best”. 19. We all liked this entire performance. It was much better than what we thought. Used to get angry before; changed it after the play. – M Udaya Suriya III B.Com. 21. I thought it would be ordinary, just songs. It was very good. I wish to learn more. I was wondering how this would be and then knew it. I learned about the meaning of Atma. 22.I wanted to learn about this story. I learned much more than what I expected. Many changes occurred in my mind. We should learn many more subjects like this. This was very useful and I learned about new, good subjects. 25. Sunaad’s music ensemble transported me to a new world. Whatever I expect shall happen. This event gave me a new experience. I recalled the right and wrong actions of mine in the past and got clarified,. I shall act only rightly and lead a good life. Many thanks to Ms. Sheela Balaji for giving Sunaad this great opportunity to perform in Manjakkudi and letting us achieve our goal of spreading the message of Hindustani Classical Music and Indian culture throughout the whole country, and next the world..